Who was this mysterious man who was known to us as Joseph, Joe, Joey, Bro, Uncle Joe, or Hon? From the time he was a little boy, I figured out how to "read" Joe. I learned what each subtle body movement meant. His facial expressions were actually quite loud. Sometimes his eyes alone would tell a whole story. "Joseph is a good student, but he is so quiet." As he got older and moved on to adulthood, I lost touch with little things about Joe. What music he liked, what clothes he chose to wear, what songs he liked to play on his guitar, where he was on the weekend or who he spent his evenings with. I never lost touch, though, with the silent communication we shared. His eyes, his smile, or a little shrug of his shoulders, each meant something particularly special to me. "Keep it down, Joe, you're talking so much that none of us can get a word in edgewise." Joe would turn red, but he would always smile. It seemed as though some people would be uncomfortable around him. "He doesn't talk much", they would say. Many of the people in his life knew only small bits and tiny pieces of him. He is so quiet they would say. What is he thinking? How does he feel? Oh yes, we all knew that Joe was a Mets fan. I know that when everyone in the stands was yelling "Lets Go Mets, Lets Go Mets," Joe was quietly yelling it too. His laugh may have been quiet, but his sense of humor was obvious. I'm sure if you listened closely you would know that inside he was laughing loudly at a silly Conan skit. Hmm, I wonder which character from the show Family Guy Joe most identified with? 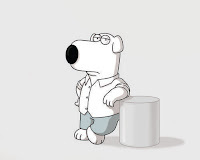 Perhaps, Brian Griffin, the dog, said all of the things that Joe was quietly thinking. What was there about "Unca" Joe that Bella, Kenny, Ryan and Tyler could hear that perhaps others couldn't? I'm sure they never said, "but he is so quiet." I suppose there may have been some little specific things that I didn't know about Joe. But when I reflect on my son I understand that I knew the most important things about him. I knew what a gentle person he was. I understood his off kilter sense of humor. I knew that he loved little children and puppies and that they loved him. I knew that he would always go back for seconds when I served my "famous" lasagna. I knew that Domani was the light of his life. I knew that he was a good father. I knew that it was meant to be for he and Anne to find each other again. I knew that he loved his wife. I knew that he was strong and that his strength ran deep. During the last weeks of his life I knew that there were times when he must have been very frightened; but he never gave up the fight. I knew that he would never willingly leave his family. Just few days ago he smiled and said to me "we still have time." He knew I loved him. The last time he "spoke" to me he mouthed the words "I love you." Quiet people are sometimes misunderstood. Take the time to get to know a quiet person. After all you might be lucky enough to discover the treasures of their mind, heart and soul, just like my strong, lovable, wonderful "quiet" Joe. I am so sorry. I'll keep you and your family in prayer for peace and comfort. Hold tight to your family and seek each other for support. I am SO sorry for your incredible loss. I know that this post was made some time ago, but my empathy remains, as I'm sure does your pain. This is both heartbreaking and inspiring. 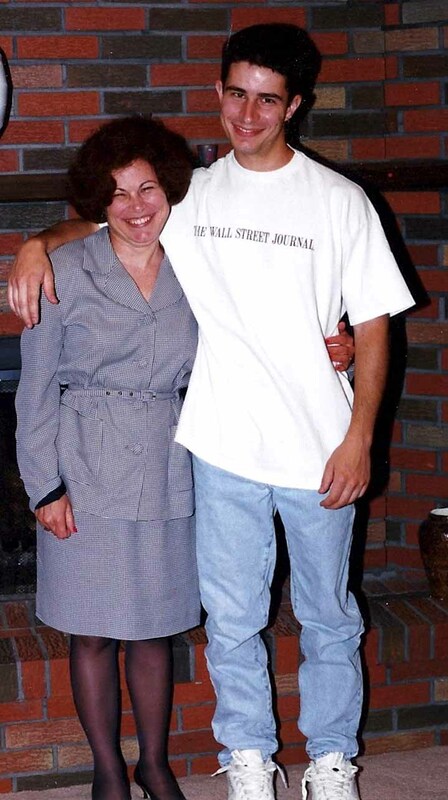 How fortunate your son was to have a mother like you who could accept his silence and see beneath it to the special, unique human being he was.